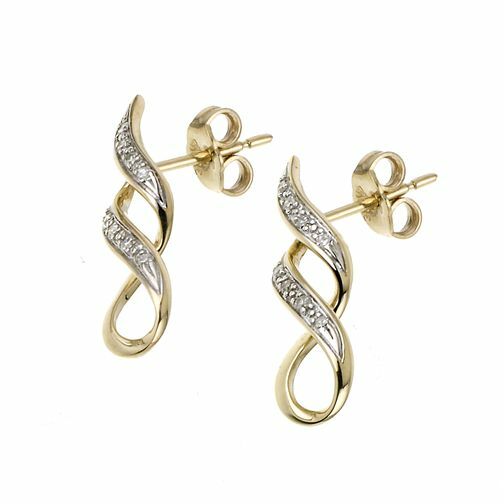 This elegant pair of twist design earrings features 9ct yellow gold and diamonds for a glamorous finishing touch to any look. An elegant gift or treat for yourself. 9ct yellow gold diamond twist earrings is rated 4.3 out of 5 by 3. Rated 4 out of 5 by Anonymous from I like the product, but it’s not as good as the white gold version. On one earring the butterfly runs loose on the post, and would easily fall off. The white gold version which was also purchased from you does not have that problem. Please advise.